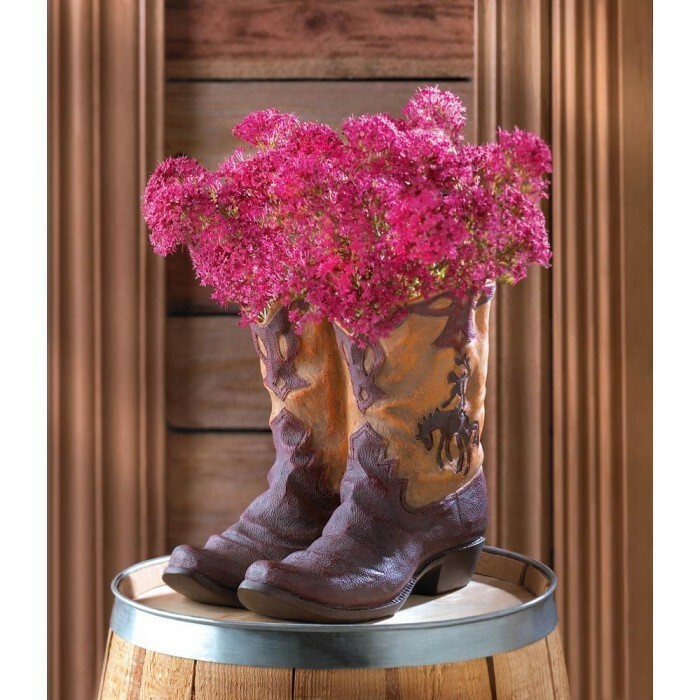 COWBOY BOOTS PLANTER by Summerfield Terrace home decor, jewelry, decor, decorations, electronics, fountains, floor mats, art glass, vases, garden essentials, fireplace screens. Some boots were made for walking, but this pair is a playful planter that brings a merry spot of greenery to your home on the range. Realistically rustic, right down to the dusty finish, fancy stitching and worn, wrinkled shape! Material(s): POLYRESIN. Weight 2.2 pounds. Dimensions 9.62" x 7.75" x 9.12".